For the second time in 14 months, Proctor and Gamble (P&G) has changed the packaging of Tide Pods laundry detergent packets in order to reduce the risk of pediatric poisoning with the products. The first change was to modify the closure of the plastic tubs; the latest change is to make the packaging opaque so that curious children cannot see the colorful, candy-like contents and be tempted to open the package. So why the additional change in packaging? Maintaining a brand renowned for good corporate citizenship and continuing to foster an image and culture of consumer safety with all their products is in the best interest of P&G. It is especially important when the star product in question had sales reportedly reaching $500 million within the first year of release. So why care about laundry soap in little packets, can it really be that bad? 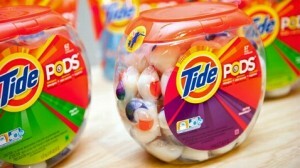 Laundry pods are made by a multitude of manufacturers and are very different than powder or liquid laundry detergent. They are highly concentrated products in small, dissolvable packets that have the cleaning power of a cup or more of commonly used liquid or powder detergents. It is thought that the soft spongy packets, soften or dissolve due to saliva or when bitten and a significant portion of the contents can spurt into the mouth, eyes or on the skin. The difference in the products can be seen in the severe clinical effects reported in the laundry pod cases managed by the nation’s poison center network. 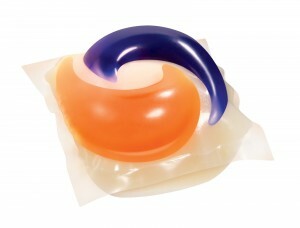 In 2012, there were 6,233 cases of laundry pod exposure managed by poison centers around the nation. The large majority of the cases are in children 5 years old or younger. In looking at the national poison center data, the effects can be broken down into broad categories of gastrointestinal, skin, eye, respiratory and neurological manifestations. Skin: 96 had irritation or pain and 26 had either 1st or 2nd degree burns recorded. Eye: 678 cases had irritation and pain after getting liquid from the packets into their eyes; 98 had corneal abrasions/burns to the eye. This can be very serious. Respiratory: 873 patients had coughing or choking from the product with 61 reported to have wheezing (about 1 in 100), 20 had pneumonitis (inflammation in the lungs from the inhaled product) and 2 had possible respiratory arrest (could not breath adequately on their own). Neurological Manifestations: 442 patients (7%) were documented as being lethargic (lethargic people who are vomiting have a higher risk of aspirating into their lungs). 17 cases were coded as being comatose after exposure (comatose, vomiting patients are at even higher risk of aspiration than lethargic patients). 7 patients had seizures or seizure-like activity (a lethargic or comatose, seizing, vomiting 3 year old child is in serious trouble). Most concerning to me however is that 52 out of 6,322 reported cases, or 1 out of 120 of those exposed to the contents of laundry pods, the clinical decision to intubate the patient and place them on a breathing machine was made in order to ensure their survival. As an emergency physician and a parent, that scares me. (Warning: graphic image). So P&G should get some really big kudos for their efforts to reduce exposure to this product and to reduce childhood poisoning in the US. Now if only there was some way of ensuring all the laundry pod manufacturers take similar steps. Perhaps the risk of product liability will be enough for a lot of companies to review their packaging. In the spirit of full disclosure, we use the laundry pods in our home. My wife’s quote was something like this . . . “I know you think these are dangerous, but I love these things, they are so neat and clean!” Our children however are 12 and 14 and highly unlikely to eat one. If they were 1 and 3 years old however, we would be sticking with conventional laundry powder until they got older. For information on other substances commonly ingested by children, check out the Illinois Poison Center “My Child Ate” resource center. 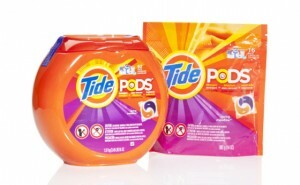 Posted in General | Tagged Illinois Poison Center, illinois poison center blog, IPC, ipc blog, laundry pods, My Child Ate..